After feeling a bit despondent about the lack of ripe strawberries a couple of Sundays ago, this week we have what could almost be called a glut. Unfortunately we lost as many as we brought home, despite carefully putting straw around the plants, they had still rotted on the ground. Those that have survived however are just stunning both in taste and in scent and though not good enough to make jam they are excelling at desserts. 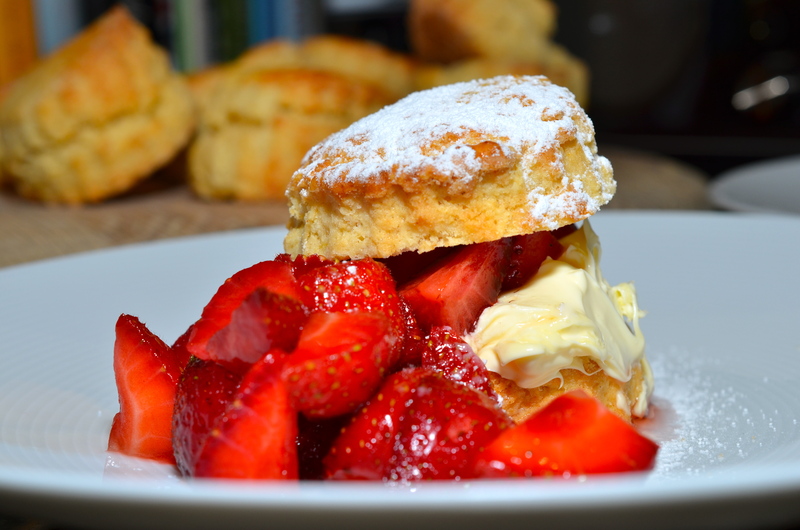 Strawberry shortcake is popular in America, the shortcake bit being in all but name a scone, served with macerated, strawberries and vanilla flavoured whipped cream. Here I have used clotted cream and flavoured the compote with a couple of drops of vanilla extract. 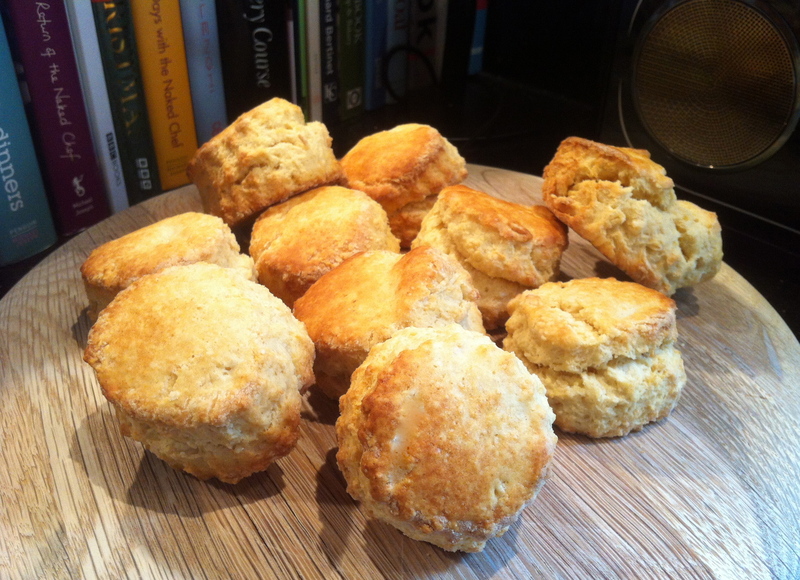 Scones – I use this recipe from Delia Smith. Strawberries washed, hulled, and quartered. 125 grams is enough for two scones. Caster Suger – 5 grams for each 125 grams of strawberries. Prepare the strawberries add the sugar and a couple of teaspoons of water, set aside while you make the scones. 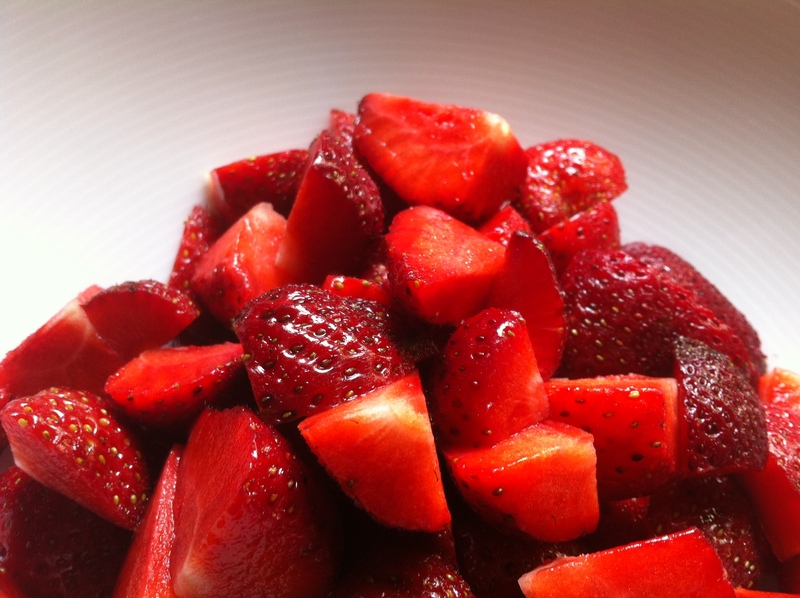 The moisture of the strawberries and the sugar will combine to make a syrup around the fruit. Add a couple of drops of vanilla extract to this and stir. Once the scones are cool split spread with the cream pile on the strawberries, dust with icing sugar and enjoy. These look absolutely delicious! Every year I plan to make strawberry shortcake but never seem to get around to it – seeing your photos, I will this year for sure. Thank you so much. The treat is the syrup from the strawberries soaking into the biscuit. They do look lovely, if i can salvage any of my strawberries i would love to make some. Looks lovely, a very guilty treat. I just wish I had enough strawberries! Hmmm just what I need right now. Since I don’t have enough strawberries at the moment, can I come over for the leftovers?